Ever wonder what to do with all those old VHS tapes? 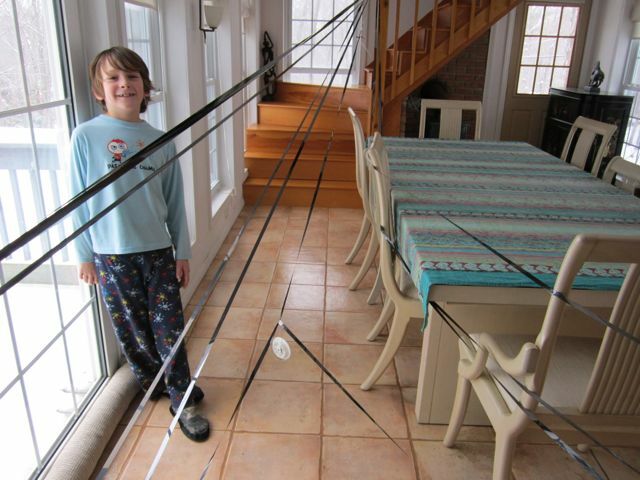 Ever wonder what to do with all those old VHS tapes? My 7-year-old son has the solution! Just grab a hammer and start smashing, and soon you will unravel a world of hidden treasure. 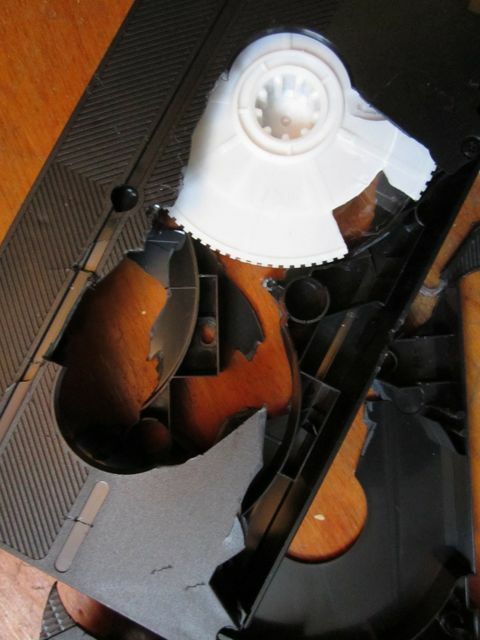 Did you know that it takes 3 minutes and 24 seconds to unravel one 30-minute VHS tape end to end? 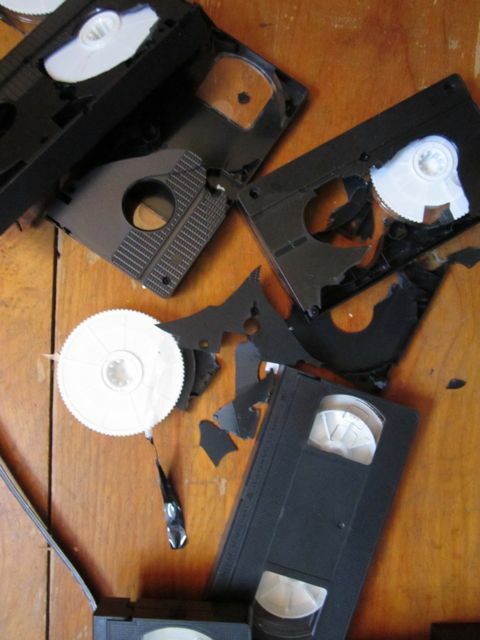 Turns out that smashing old videotapes is way more fun than actually watching them.